Condon United Church of Christ enters Holy Week on Sunday, April 13 embracing the Promises of the Faith. Holy Week, the time when Christians remember the life, death, and resurrection of Christ, will be marked with several activities at the church. Palm Sunday worship at10:30 a.m. will focus on the Promise of Death. Brunch will be served following service. Everyone is encouraged to wear red. Maundy Thursday service on April 17 will be at 6:00p.m. following a soup dinner at 5:30 p.m. Good Friday celebrates the Promise of Community with several ecumenical events for the community of Condon. A short service will be held at the church at 4:00p.m. followed by a shared meal at St. John’s Catholic Church. A closing service will then be held at St. John’s at 6:00p.m. 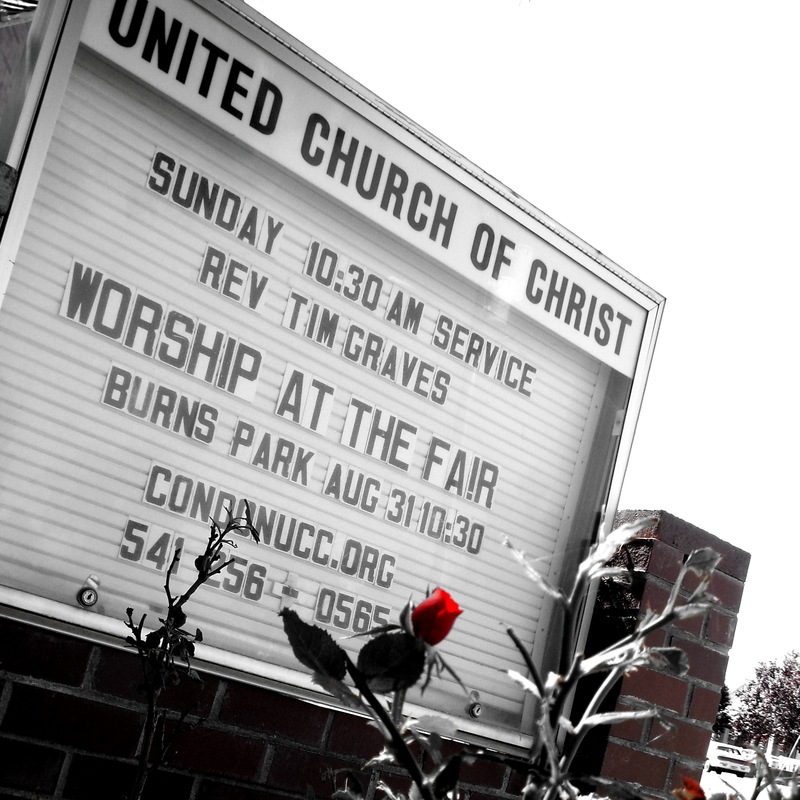 The congregation of Condon United Church of Christ will be holding a prayer vigil at the church from 8a.m. – 8p.m. on Saturday, April 19 in preparation for Easter. Easter Sunday services will be at 10:30 a.m. celebrating the Promise of Resurrection. Coffee hour and Easter egg hunt for children will immediately follow the service. 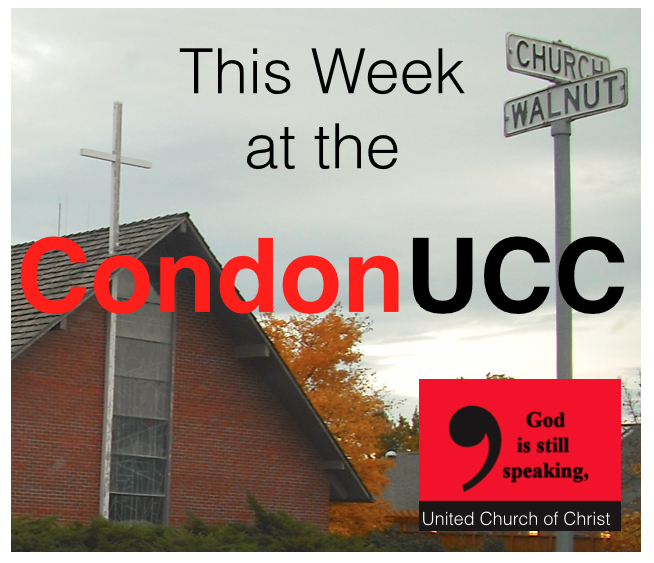 Condon United Church of Christ, following the extravagant love of Jesus, warmly invites and welcomes everyone. No Bible Fridays. The children have school this week. Stewardship Meeting postponed until next month.